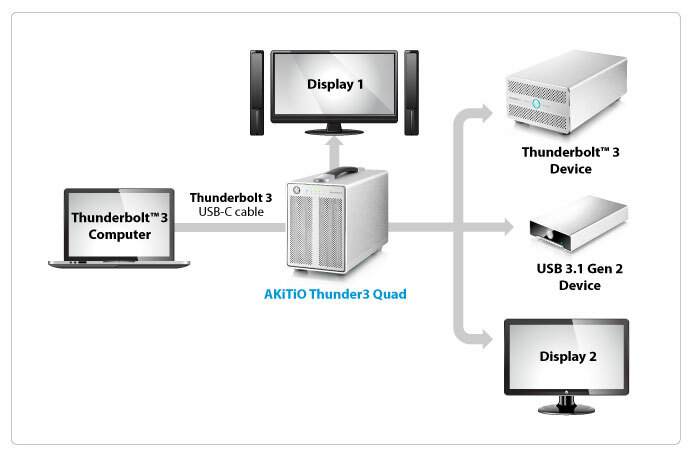 With Software RAID, the AKiTiO Thunder3 Quad provides users the ability to edit and playback multiple streams of HD and/or 4K content with enough headroom to simultaneously daisy-chain additional monitors and storage devices. 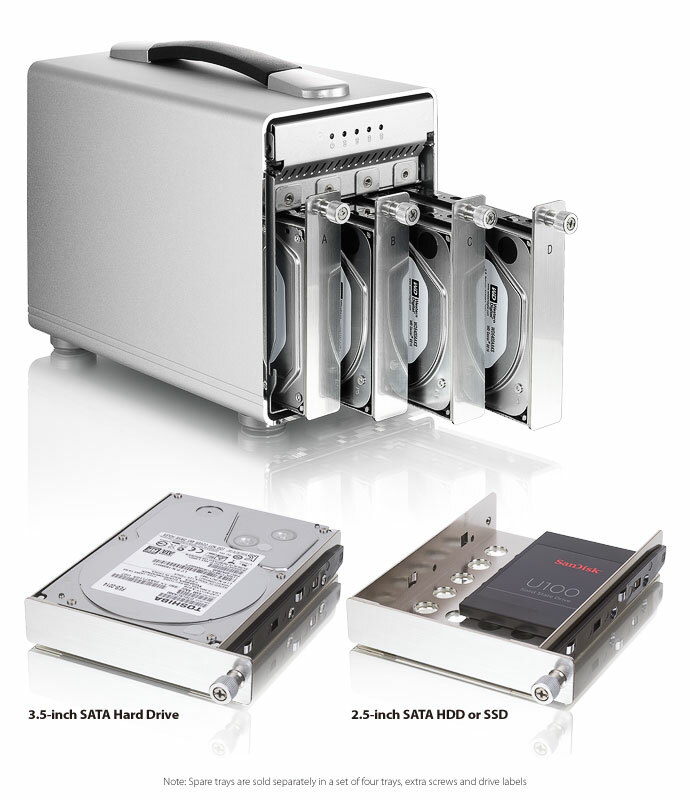 For traditional spinning hard disk drives, the maximum transfer rate for a single drive (Non-RAID) is around 200 MB/s. 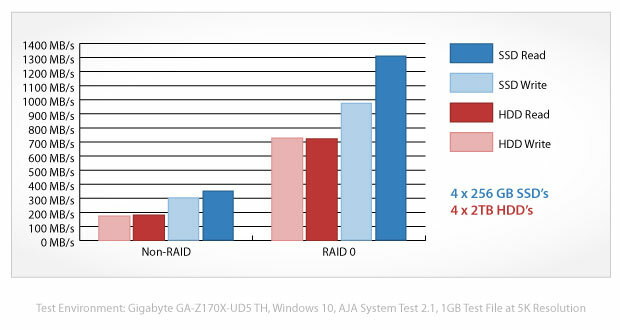 Only when used in a striped RAID set can the transfer rates exceed 200 MB/s. For solid state drives, the maximum transfer speed is limited by the PCIe to SATA controller to around 370 MB/s per drive. 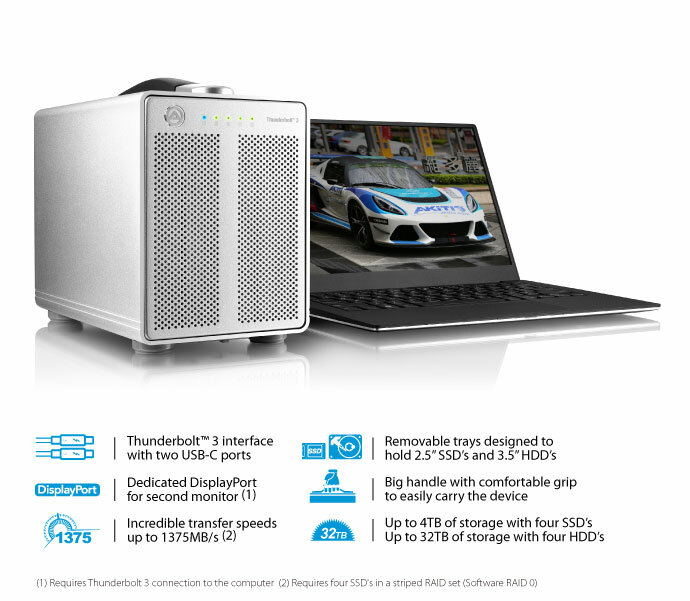 Because of this limitation, the maximum transfer rate for a striped RAID with four drives is about 1375 MB/s, even though the Thunderbolt 3 interface is capable of speeds faster than that. 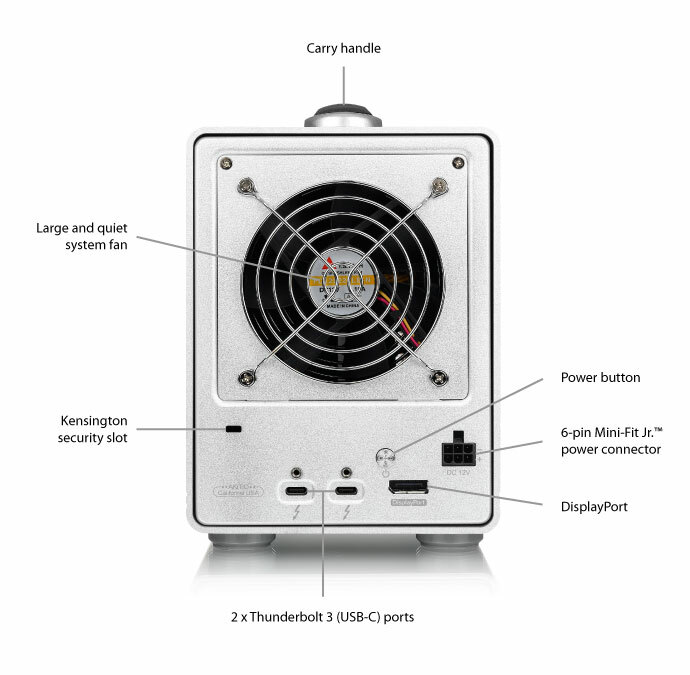 This Thunderbolt product is not compatible with Mac OS X.